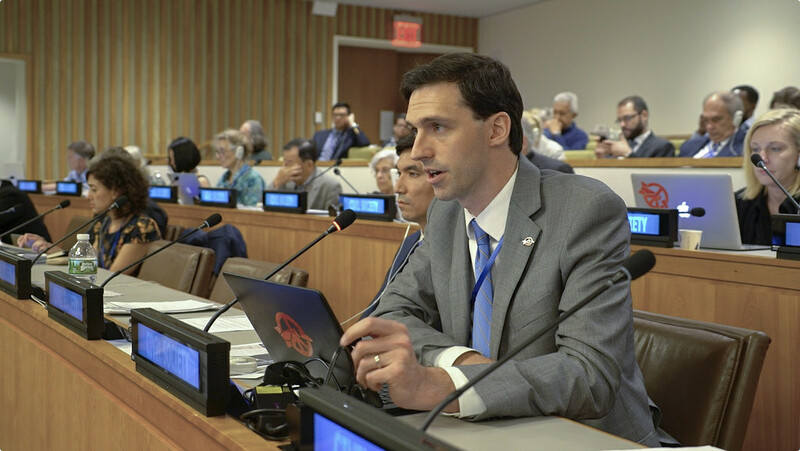 Matthew Bolton, director of Pace University’s International Disarmament Institute, published the following op-ed in the Nuclear Ban Daily on 29 June 2017 on ensuring respect for theNuclear Weapons Ban Treaty, currently being negotiated at the UN in New York. For more a detailed report on his research regarding positive obligations, including ensuring respect and promoting norms, click here. A crucial purpose of the ban treaty process is to stigmatize nuclear weapons. To do so, it should undermine the policies and practices in nuclear-armed and nuclear-allied states that entrench the persistence of nuclear arsenals. This includes delegitimizing doctrines of nuclear deterrence and accepting the stationing of nuclear weapons on the territories of non-nuclear weapons states. Prohibitions on military preparations and planning, stationing, and financing of nuclear weapons are key elements in this effort, raising the costs—economic, social, political and diplomatic—of the nuclear weapons complex. However, stigmatizing nuclear weapons will require more than negative prohibitions. It will also require states to take positive actions that cultivate, generate, and disseminate the norms of the treaty, both domestically and globally. In this round of negotiations, states and civil society have begun to discuss potential provisions to this effect, including regarding universalization, norm promotion, disarmament education and awareness raising, and fostering a culture of peace. Others have suggested language that would require states to condemn violations of the prohibitions by states not party. Such obligations would help do the discursive work of delegitimizing nuclear weapons and nuclear deterrence doctrines. In building and strengthening this stigmatizing architecture, states should also consider augmenting it with the “respect” tradition in humanitarian law. 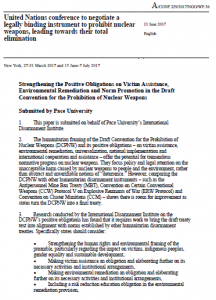 Pace University’s International Disarmament Institute presented research on norm promotion and dissemination provisions in disarmament treaties to the UN negotiations on a nuclear weapons ban treaty. Below is the written version of the statement delivered by Dr. Matthew Bolton. For more details on the research, see the Institute’s Working Paper. 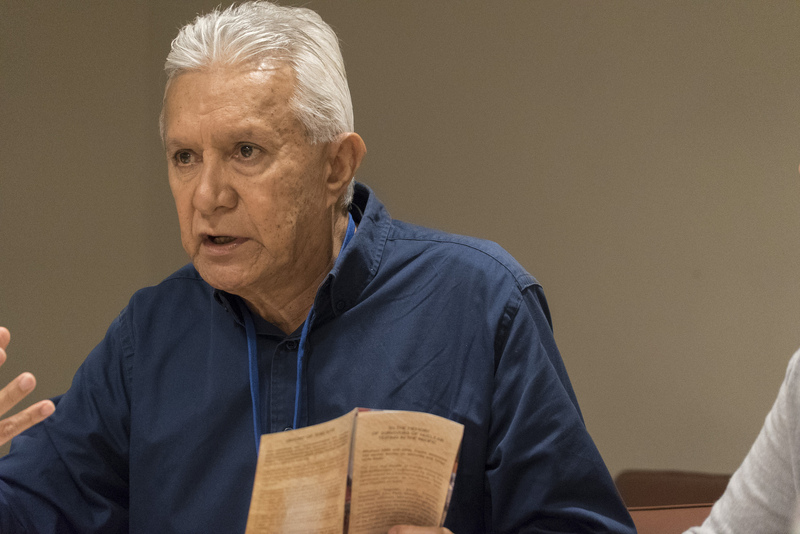 This Convention aims to stigmatize nuclear weapons. However, normative change does not happen by itself; it requires action by states, international organizations, civil society, faith leaders and academia. Pace University’s International Disarmament Institute has conducted research on provisions in relevant humanitarian and disarmament instruments regarding the universalization and promotion of norms they establish. Our detailed research can be found in Working Paper, number 36, submitted to the conference. The current draft of Article 13 on universalization establishes important obligations to encourage other states to join the treaty. However, we encourage the conference to consider including provisions found in other instruments that provide additional avenues for diffusing norms. 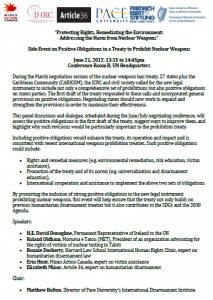 Pace University’s International Disarmament Institute will co-host a panel on positive obligations in the draft Nuclear Weapons Ban Treaty at United Nations Headquarters, 1.15-2.45pm, 21 June 2017 in Conference Room B. During the March negotiation session of the nuclear weapons ban treaty, 27 states plus the Caribbean Community (CARICOM), the ICRC and civil society called for the new legal instrument to include not only a comprehensive set of prohibitions but also positive obligations on states parties. The first draft of the treaty responded to these calls and incorporated general provisions on positive obligations. Negotiating states should now work to expand and strengthen the provisions in order to maximize their effectiveness. By promoting the inclusion of strong positive obligations in the new legal instrument prohibiting nuclear weapons, this event will help ensure that the treaty not only builds on previous humanitarian disarmament treaties but it also contributes to the SDGs and the 2030 Agenda. This event in co-sponsored by the UN Mission of Ireland, Harvard Law School International Human Rights Clinic, Mines Action Canada, Article 36 and Friedrich Ebert Stiftung. Click here for the full flyer. 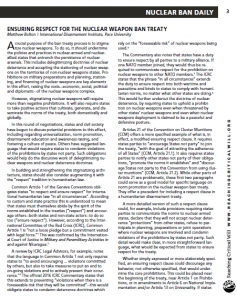 To read an analysis of positive obligations in the Nuclear Weapons Ban Treaty by the International Disarmament Institute, click here.